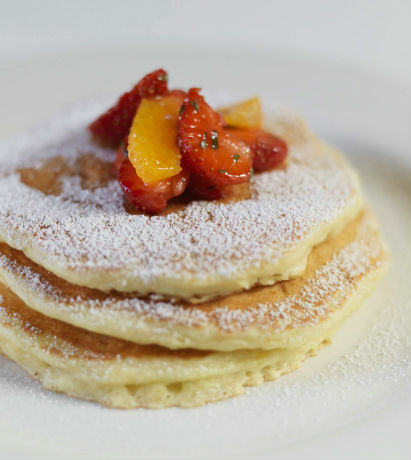 Weekends are short – make the most of the two-day leisure time with brunch. Local chefs deliver the breakfast-lunch goods – like decadent eggs Benedict, brioche French toast, raw bar platters and more – to help extend the AM hours into the afternoon. Below, some Saturday and Sunday spots to unwind before the work week begins all over again. Want to add some spice to your morning? Click here for Boston restaurants with DIY Bloody Mary carts and bars. They may be known for their burgers - it's in the name, after all - but you can wake up to the smell of fresh coffee and honey pecan sticky buns at A&B Burgers. The Beverly spot offers Sunday diners goodies like house smoked baby back ribs, Cajun shrimps and grits, and steak and eggs. Make for the North Shore and start your Sunday Funday the right way. 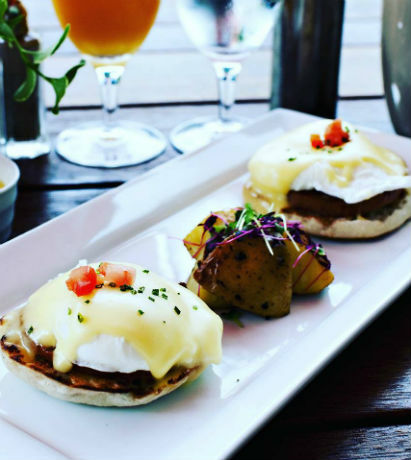 Take a break from the city life and head to Milton for a suburban twist on brunch. With dishes like creme brulee french toast with candied bacon to crab cake benedicts, the Abby Park offerings are as delicious as anything in town - plus there's more parking and a shorter wait. Abigail's isn't called Kendall Square's neighborhood spot for nothing. 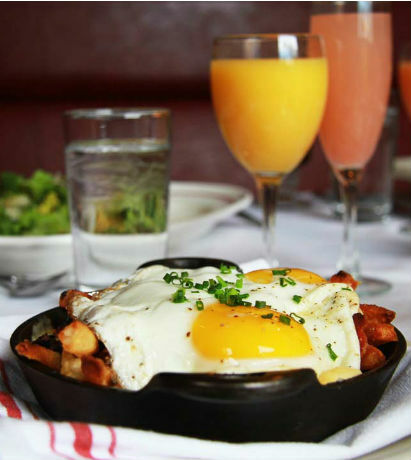 When the weekday crowds have cleared, you can join in-the-know neighborhood residents and visitors for boozy morning cocktails and generous portions of your favorite brunch-y dishes. Hungry in Harvard Square? 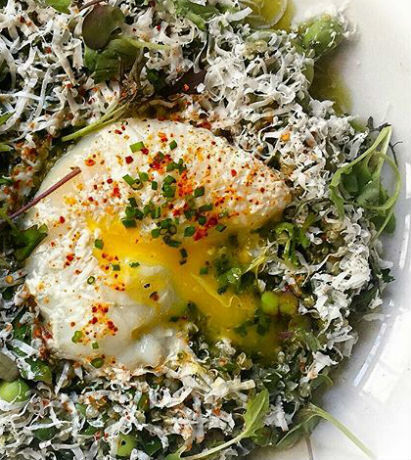 Let chef Michael Scelfo host you for brunch at his subterranean spot on Brattle Street, where the mid-morning offerings are scrambled, smoked and skillet-roasted, but most importantly - seasonal. This Wellesley-based flagship restaurant from chef Michael Schlow brings a warm, inviting brick interior to Saturday & Sunday brunch. The menu is a mix of Italian favorites — chopped antipasti salad and meatballs with spicy tomato basil sauce — and more modern, trendy options like the pancakes with whipped nutella, blueberries and hazelnut crumble. All in all, the end result is an excellent brunch experience. 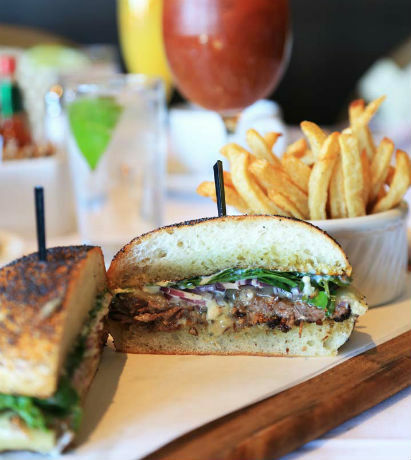 Unwind on the weekend over a bistro brunch at Aquitaine. Like the restaurant itself, the a la carte and prix fixe menus blend chic sophistication and classic Parisian taste with options like salad Nicoise, steak & eggs and variations on the omelette. 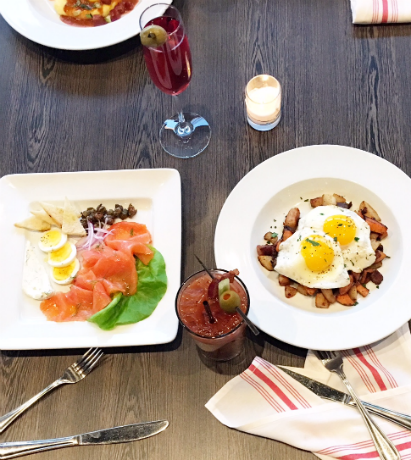 Master the art of French brunching with Aquitaine Chestnut Hill. 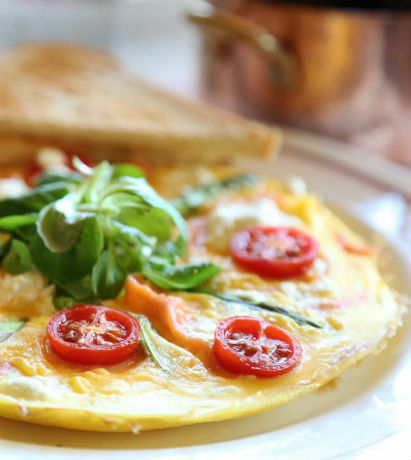 With an array of omelettes to croque monsieurs and truffled bacon burgers, the menu is imbued with time-honored tastes and Parisian bistro style. 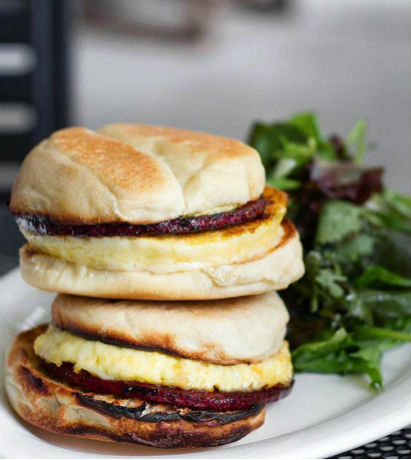 Sunday mornings in the suburbs are a whole lot tastier, thanks to Aquitaine Dedham's breakfast and lunch specialities. 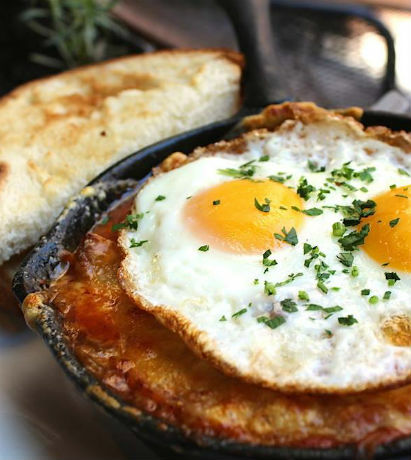 Brunchers can opt for French-inspired a la carte and prix fixe dishes like duck confit poutine and classic egg entrees. This trendy South End spot located in a luxury apartment complex has an open-concept kitchen, modern decor and sturdy wood tables. 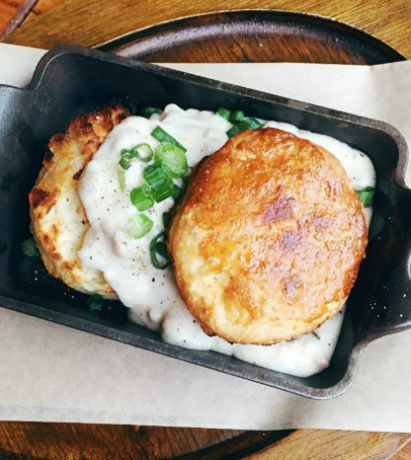 Traditional brunch items like cinnamon buns and buttermilk biscuits & gravy are available, but the restaurant is known for its signature pizzas. Try their breakfast pizza with sour cream, potatoes, bacon, cheddar, scallions, banana pepper relish and eggs. Of course there's pizza on the brunch menu at Area Four, but the kitchen team at the Cambridge restaurant is also hard at work in the morning hours creating a robust menu of dishes like breakfast sandwiches, baked French toast, The Hot Mess and more. You'll definetly want to stop by ArtBar on a sunny weekend and relax with a mimosa on their beautiful patio - or their riverside dining room. 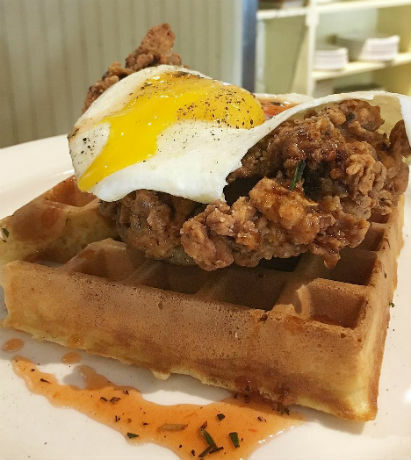 The modern, yet comfortable atmosphere is perfect when enjoying their buttermilk fried chicken and waffles or one of their delectable brunch sandwiches. They do brunch to the nines at Artistry on the Green in the Inn at Hastings Park. 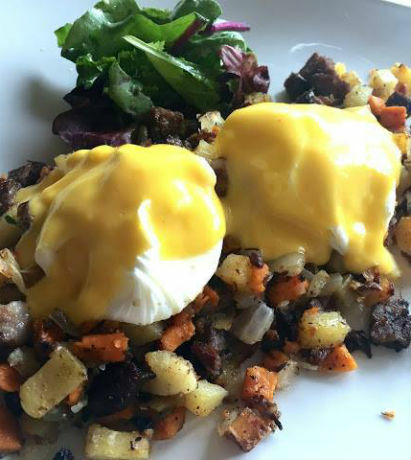 Located in a beautiful historic home in Lexington, that's been transfromed into a boutique inn, Artistry is the perfect place for some brunch with a side of bucolic scenery.